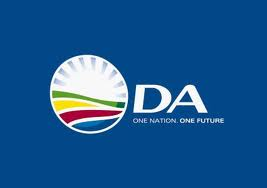 The DA believes the revelation today that the head of the Directorate for Priority Crime Investigation (DPCI)- the Hawks, Anwa Dramat, has thrown in the towel, sets a most terrible precedent. General Dramat won the battle but has lost the war. The fact that any future head of the Hawks may equally be drummed out on trumped-up charges should he or she call for the Nkandla files or files on any top ANC politician aside, neither should the Police Minister, Nathi Nhleko, be absolved for his unlawful conduct. He must be charged with contempt of court for his initial suspension of Mr Dramat. This comes after an announcement just made by the National Police Commissioner, Riah Phiyega, confirming that Mr Dramat has signed papers agreeing to leave the SAPS. This is after a protracted public battle to retain his position as the head of the Hawks after a rogue Police Minister unlawfully suspended him for doing his job impartially. At the time of this suspension by the Police Minister on 24 December 2014 the DA was astounded at the extraordinary and unconstitutional act by the Minister of Police. It was then and still is our contention that the Minister is in contempt of court. It must never be forgotten that the suspension of General Dramat, came the day after he focused on the Nkandla files, which could implicate Jacob Zuma criminally. It is extraordinary that the Minister would go to these lengths to commit what the DA believes to be an unconstitutional and unjustifiable. It is clear that Minister Nhleko must have been instructed to get rid of Dramat at all costs. This sort of capture and abuse of crime-fighting institutions is what we have come to expect from the ANC in government and the DA will fight tooth and nail ti ensure that Minister Nhleko does not get away with this gross misconduct.